It’s rare to find one of the world’s most admired companies using love to measure success. Yet the stated vision of Southwest Airlines is to become the world’s most loved, most flown, and most profitable airline.  Southwest, which even uses “LUV” as its trading symbol on the New York Stock Exchange, is generous in showing its love for causes that matter most in the communities it serves. As the Official Airline Partner to Young Audiences Arts for Learning, Southwest contributes round-trip tickets to Young Audiences and its affiliates. These are used to bring teaching artists, classroom teachers, and staff members to professional development events around the country. In effect, Southwest is helping to strengthen the Young Audiences Arts for Learning Affiliate Network and the communities, schools, and children they serve. The relationship Southwest established with Young Audiences extends beyond the national office to many affiliates. In April 2013, for example, Young Audiences of Rochester helped Southwest celebrate its service launch at the Greater Rochester International Airport. 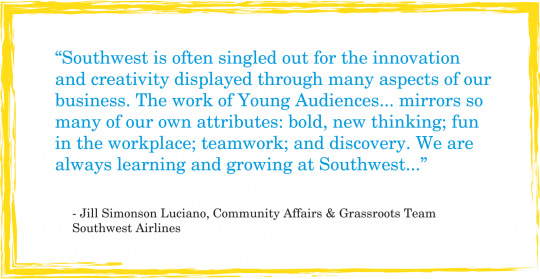 “Young Audiences regularly presents Southwest with new and exciting ideas to keep our partnership activities fresh, and they have done a fantastic job of recognizing – and valuing - the contribution we offer,” Jill says. Learn more about Southwest Airlines.